Will the real Santa Fe please stand up? | Do. Be. Interesting. 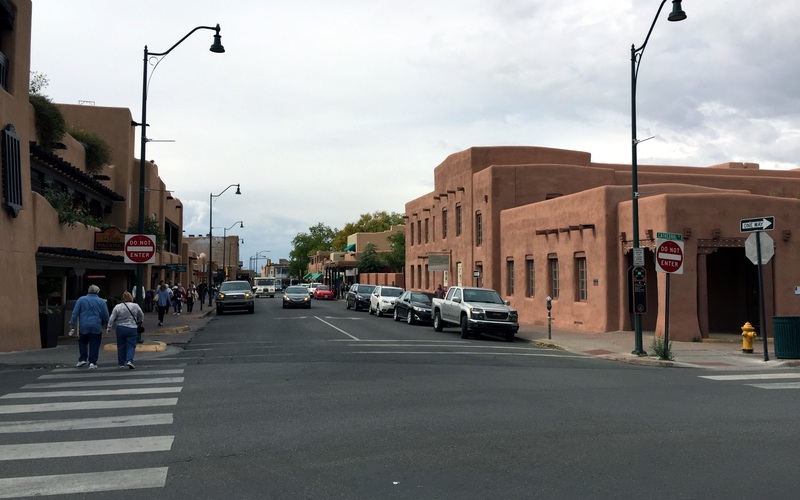 Home Places Will the real Santa Fe please stand up? Will the real Santa Fe please stand up? Santa Fe is a fake. A real travesty. I’m certain there is a fraud perpetrated by the government of New Mexico to falsify the real location of Santa Fe. They have clearly hired Disney Imagineers to create the fake Santa Fe that I visited yesterday. Am I supposed to believe that the floors of the multi-story garage are held up with the small wooden poles protruding from the walls? Or that the painted-on cracks on the walls are real? I mean, this stuff is great at Disney where it’s expected. But at the real Santa Fe I expected something more authentic. The only thing that’s old in this town are the parking meters that required me to feed in actual quarters. And the only authentic experience I had here was the money box placed and manned just inside the entrance of the church. I should have listened to the wind when it blew in, and headed east. Previous articleThe winds are a-changin’.